This is right outside my house. People were out playing in the snow, making snowmen, clearing cars off with their arms. Very festive and happy. A London pub covered in white. 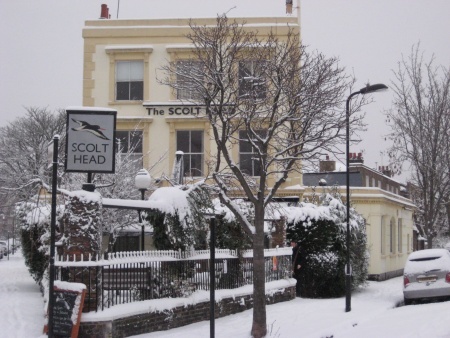 The Scolt Head is a nice place. Good beer, friendly folks and a fireplace. Regents Canal — This is a canal that traverses North London. No narrow boats on this stretch, I wish I had seen some narrow boats to snap. 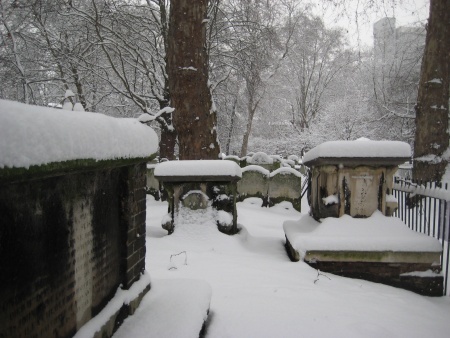 Bunhill Fields – The old City cemetary that was the place for dissenters (people who were not Church of England goers), until the dead were buried further out for health reasons. It’s right near my office and was shut due to the weather. It looked pretty and untouched through the fence. Snow brings out the fun in everyone! 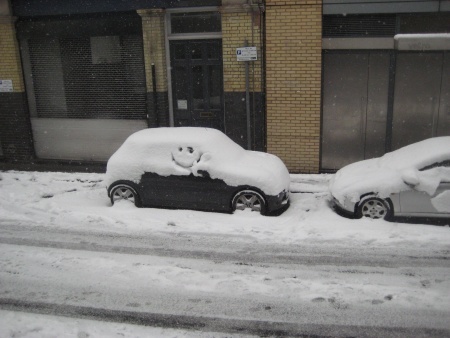 Nothing to brighten your day like a happy Mini under a foot of snow. Anyway, those of you in England – enjoy your lovely wintry day! 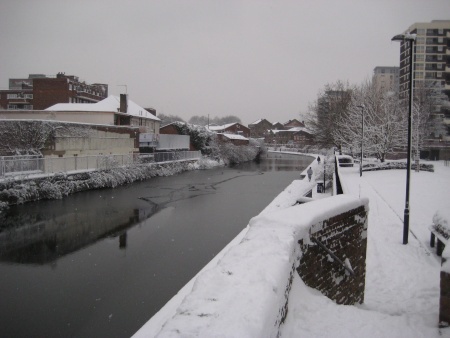 This entry was posted on Monday, February 2nd, 2009 at 4:30 am	and is filed under Life Abroad, London, Photos. You can follow any responses to this entry through the RSS 2.0 feed. Both comments and pings are currently closed. 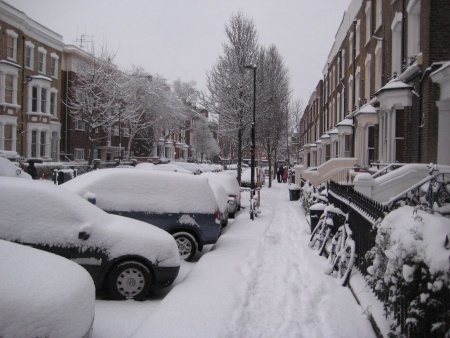 When it snows, plucky Brits stay home and silly Yanks walk to work! Good jobs – we’re proud of your comittment to the office. Years from now, when you hear that England has had a big snow storm, you and Carolyn will look at each other and say, “We remember when….”. Another great memory to store away.